For the thousands of people diagnosed every year with life-threatening blood cancers like leukemia and lymphoma, a cure exists. It just takes donors. CORPUS CHRISTI, Texas — You might have seen the story recently about a 7 year old girl from Sinton who just met the woman who saved her life. Laynie Houser was diagnosed with Aplastic anemia in May of 2015. Aplastic anemia stops your body from generating an efficient amount of blood cells. Thanks to a blood marrow donor, Laynie is now doing well. 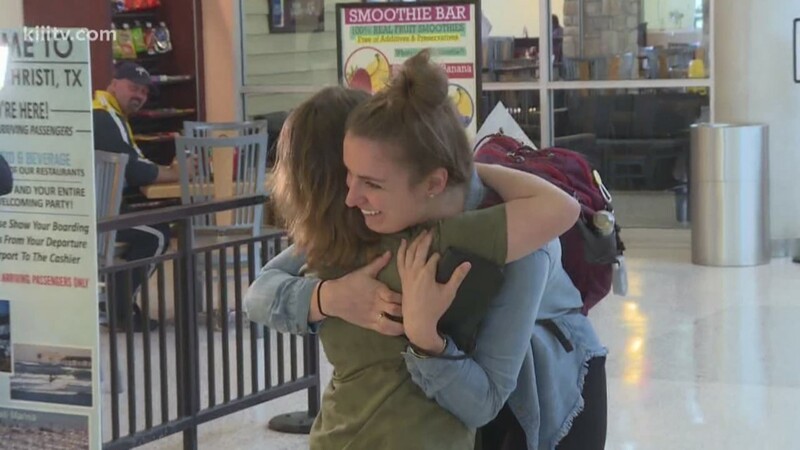 In fact she met her donor, Alyssa Kohls from Wisconsin for the first time this week. A family in Sinton had an emotional reunion Friday when they finally met the woman that saved their daughters life with her bone marrow. Her story is so important because there are thousands of people just like Laynie who's lives depend on finding a match. Leticia Mondragon with 'Be the Match' joined us on 3 News First Edition to discuss how you can get involved and sign up for the registry. For more information, go to Be the Match.